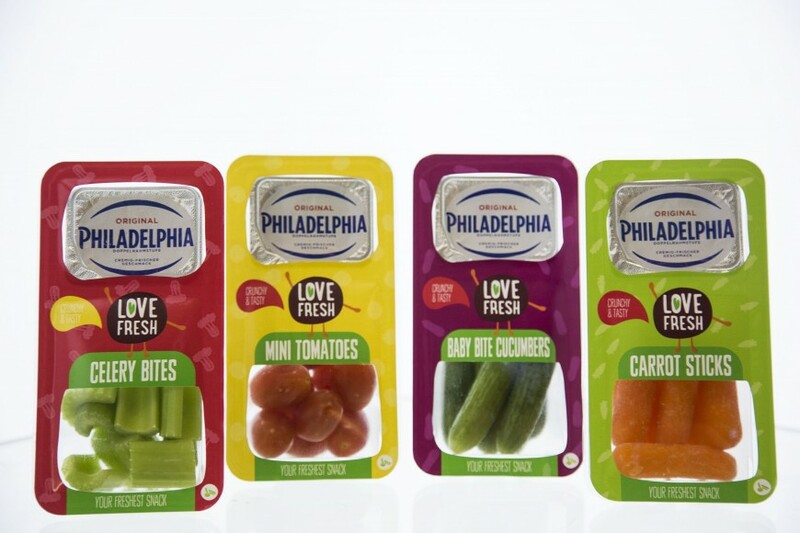 G’s Fresh Group has launched a new range of healthy snacks for the European market. 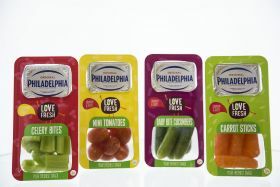 Sold under the Love Fresh brand, the line of ready-to-eat vegetables and Philadelphia comes in four varieties: celery, mini cucumber, mini tomato and carrot. The snacks come in 80g trays with a 35g tub of Philadelphia soft cheese for dipping, designed to be an ideal portion for snacking between meals. Aurélie Zogheib, head of the Love Fresh global brand, said the snacks reflect changing eating habits, which has seen consumers move away from three main meals a day to eating less, but more frequently. According to the company’s research, 96 per cent of people eat between meals and more than two-thirds of them do it on a daily basis. But only 39 per cent of these choose healthy options – a figure that it is looking to increase. The snacks will be introduced to the UK and Spanish markets in June, and their launch will be supported by point of sale promotions and other consumer marketing activities. The launch is part of the company’s Fresh Attitude lifestyle concept which seeks to make eating vegetables fun, fresh, colourful and healthy. “One of our goals is to develop tasty, convenient and healthy products that make your life easier and above all healthier, betting on new trends, but without forgetting the origin and natural flavouring of the product,” the company said. Love Fresh is the latest offering from G’s and joins marinated beet snacks Love Beets and ready-to-eat celery with dips such as Caesar, Ranch, Garlic and Parsley and Sour Cream.